Do you prefer pies, cakes, pastries, or cookies? 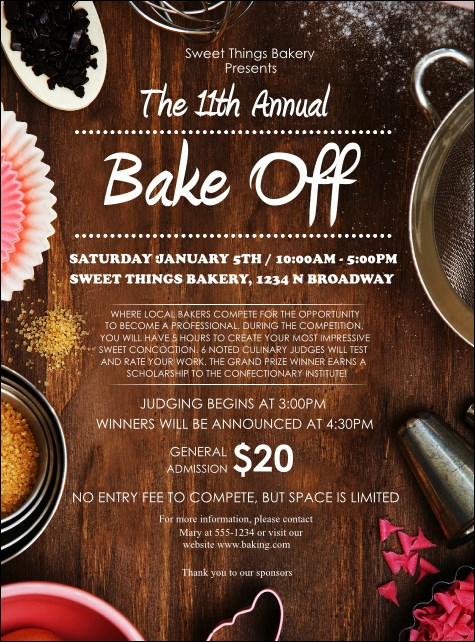 Appeal to a crowd who loves their sweets with the Baking Flyer. This photorealistic design features a dark cutting board with sharp white text for event details, and useful kitchen tools for your baking. Use this template for workshops, culinary school events, or bake-offs.